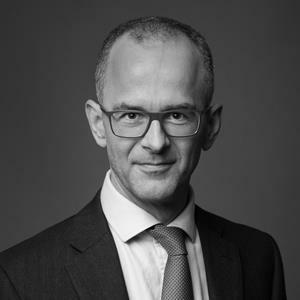 Rob Mason joined FRA as a Partner in 2014 after 20 years working at top-tier investment banks. Rob’s roles included the modeling, structuring, pricing, trading, risk management, and valuation review of complex structured products across all the major asset classes. For almost a decade, Rob was a managing director heading trading desks and leading strategic valuation reviews. Since joining FRA, Rob has worked on a range of engagements including: preparing and presenting to the DOJ an analysis of a multi-national engineering company’s ability to pay a penalty in the context of alleged FCPA violations; preparing and presenting to the DOJ an analysis of a major investment bank’s profit on a portfolio of structured products in the context of alleged FCPA violations; reviewing the trading activity of a proprietary high-frequency trading firm and producing an expert report in the context of allegations of market manipulation; acting as expert in litigation against an investment bank regarding the sale of complex structured products; reviewing trading activity for a financial institution in the context of an investigation into potential market abuse; producing an expert report on the impact of fraud in a company’s financial statements on the company’s share price pre and post disclosure; reviewing the ABC controls relating to a bank’s engagement of third-party business introducers; supporting the independent examiner conducting a review of a Swiss bank’s compliance with the US DOJ’s Swiss banks program; reviewing the creditworthiness of a financial institution to assess the recoverability of a settlement on appeal; reviewing a company’s financial statements to provide impact assessments for a range of settlement amounts. Rob has an MA in Mathematics from Cambridge University. He is based in FRA’s London office.